GRoton Accelerate Challenge Enrich (GRACE) provides an opportunity for students to use the summer after Third Form (9th grade) to accelerate their academic progress. GRACE promotes flexibility within the Groton curriculum and ensures that all students reach their full potential in math, chemistry, English, and Latin. For some, GRACE will accelerate access to the most advanced courses; for others, it will fill a preparation gap and provide a foundation for success. The four-week program prepares all GRACE Scholars for the rigors of Upper School (10th–12th grade), while also recognizing the importance of summer recreation. Before each winter break, current Third Formers receive information about applying to GRACE. GRACE 2019: June 30–July 27. By immersing themselves in only one or two subjects at a time, GRACE Scholars can make meaningful academic progress in just four weeks. Students will typically take either two A courses or one B course from the list below. Occasionally, two B courses may be taken with special permission. A courses will meet for an hour and a half each weekday; B courses will meet for three hours each weekday, plus an hour on Saturday. During free periods, students may take electives, such as Astronomy, or volunteer with the Epiphany School's summer program at Groton. In addition to enrolling in courses, students will experience a variety of fun and enriching extracurricular activities. 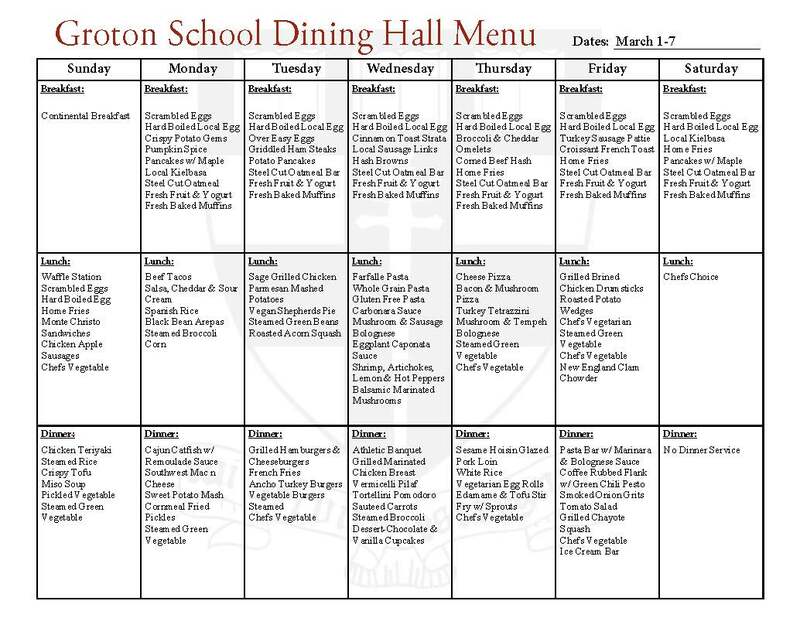 Groton’s Dining Hall will provide all meals, and boarding students will stay in Groton dorms under the supervision of the GRACE faculty. Acceptance into GRACE is not automatic, but rather based upon the recommendation of faculty, who assess whether each student is well suited to benefit from the course or courses in which they are interested. The tuition listed below covers all expenses, including not only the academic program, but also meals, art courses, recreational programs, entertainment, and field trips. Financial aid is available, in some cases exceeding levels allocated during the school year. Once students are admitted into the GRACE program, parents will be contacted and given the opportunity to request financial aid. It is our hope to never have the cost of the program prevent a student from participating in GRACE.